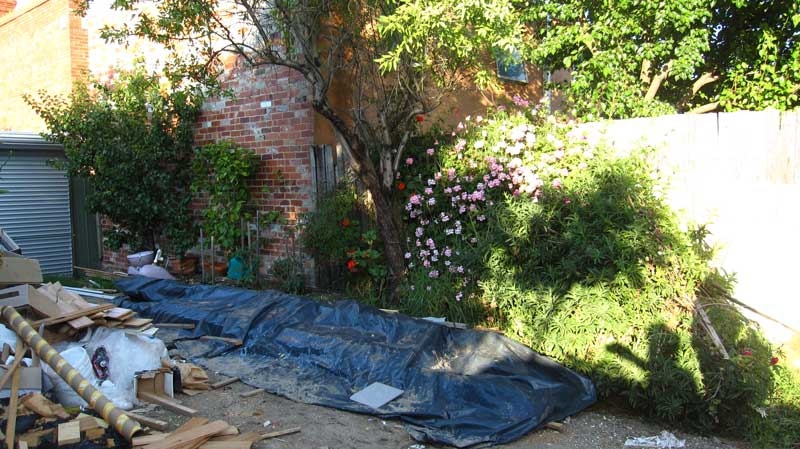 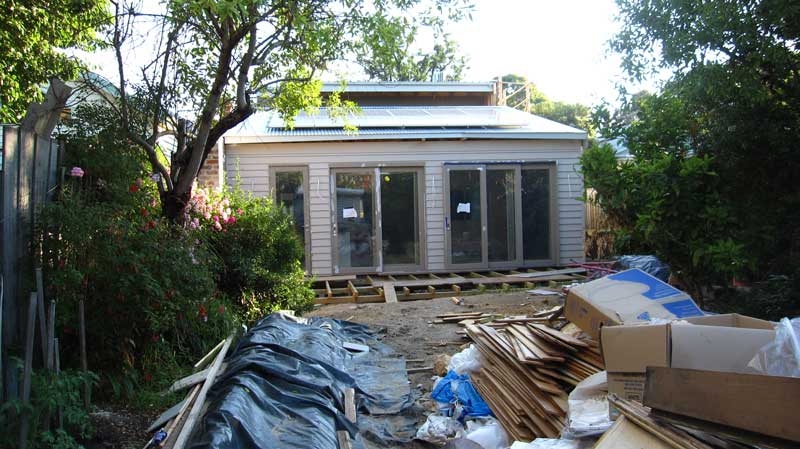 The backyard of this home looked like a building site after a new renovation. 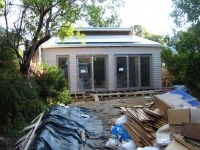 It was also very visible from the new addition through the expansive windows that connected inside to outside. 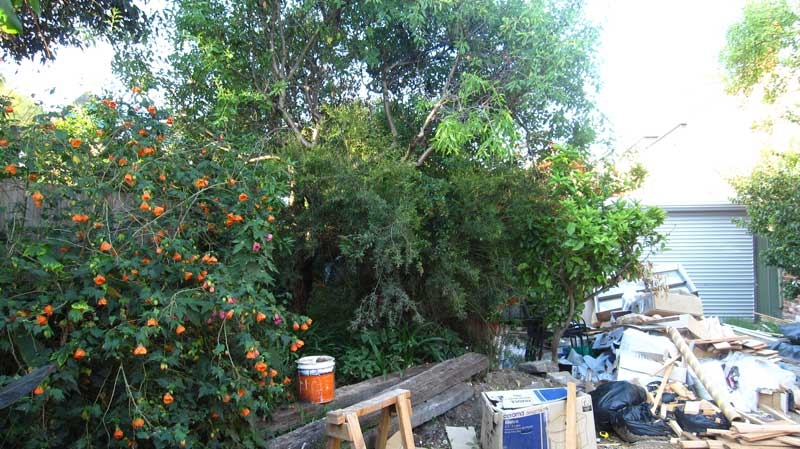 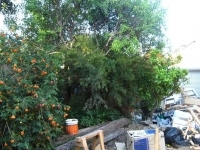 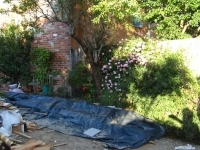 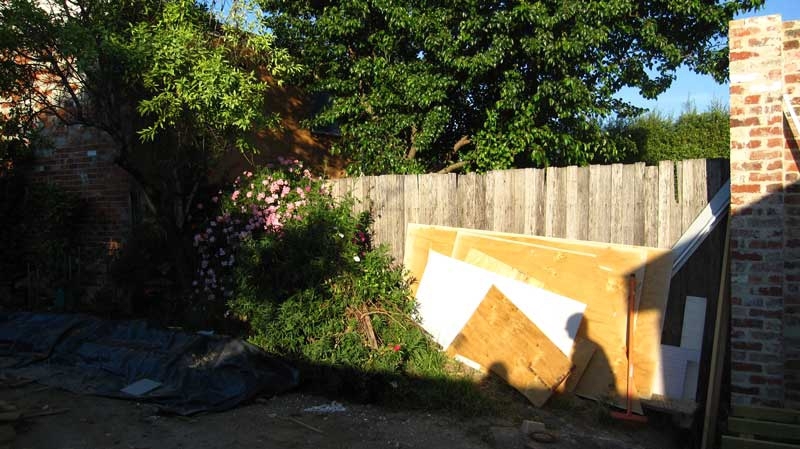 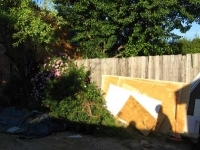 There was a wish to make the backyard garden beautiful and welcoming and also to make it very productive. 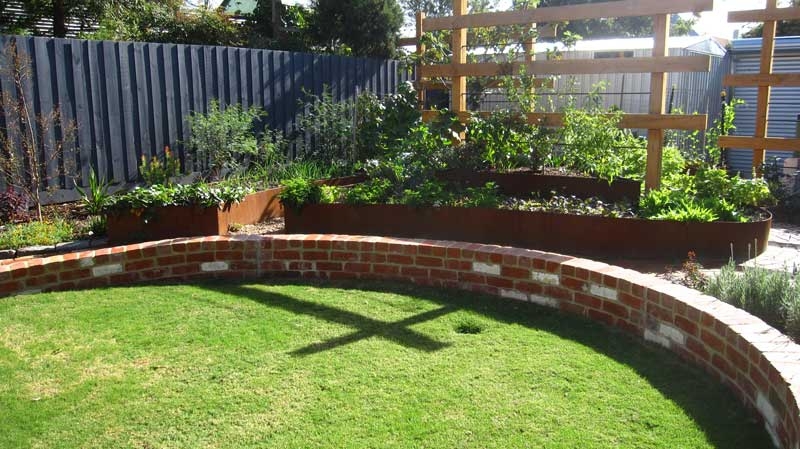 The new garden design provided a sunken gathering lawn from the rear timber deck to draw people into the garden. 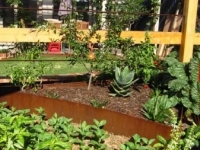 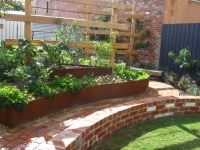 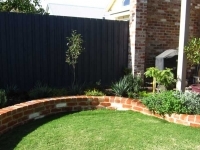 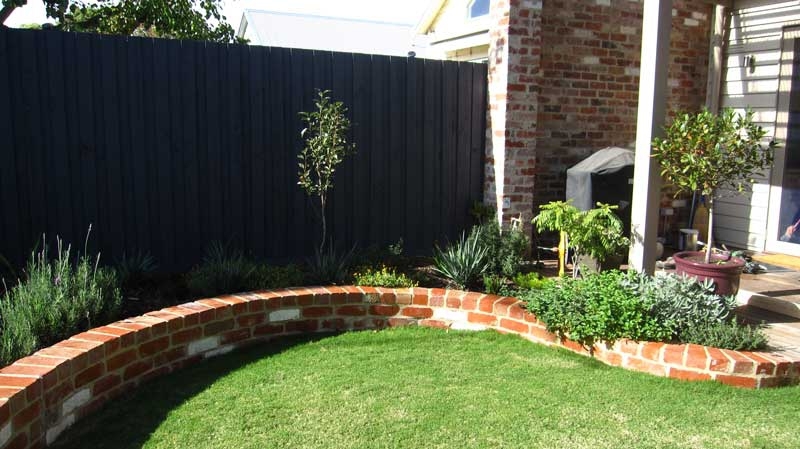 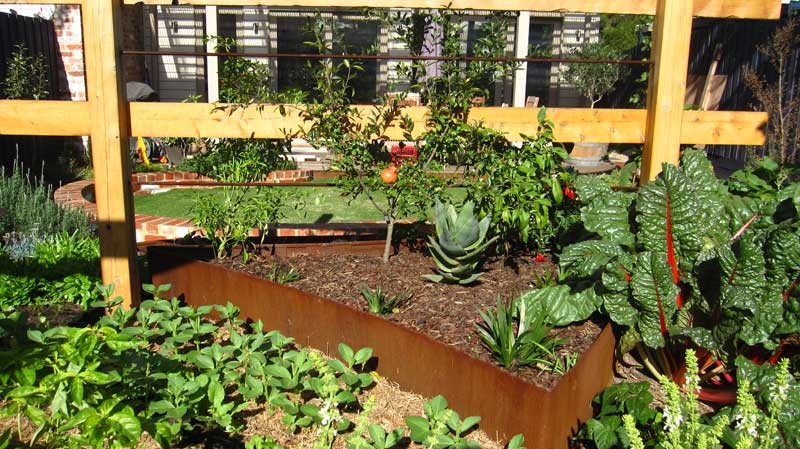 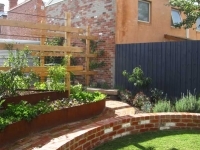 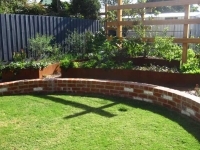 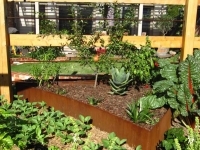 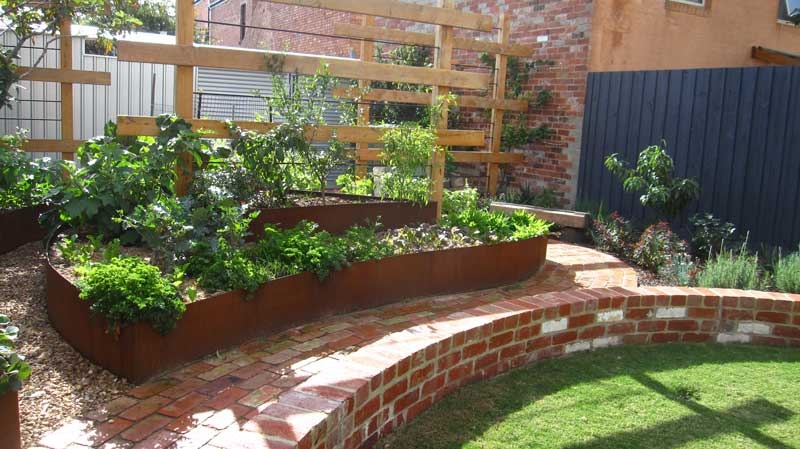 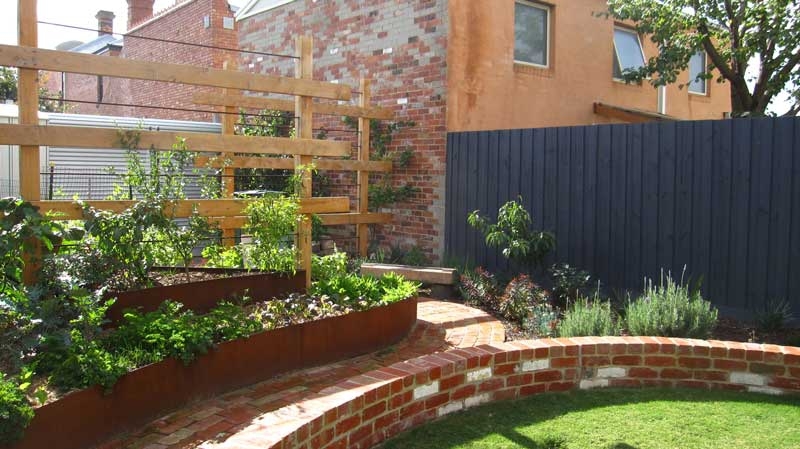 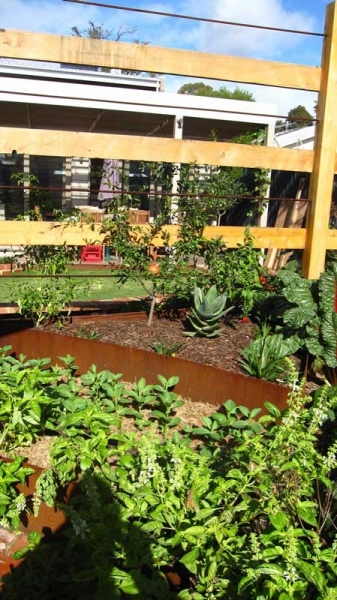 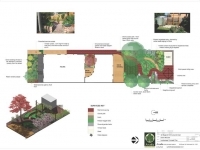 Raised veggie bed were created with rusted steel surrounded by a meandering path. 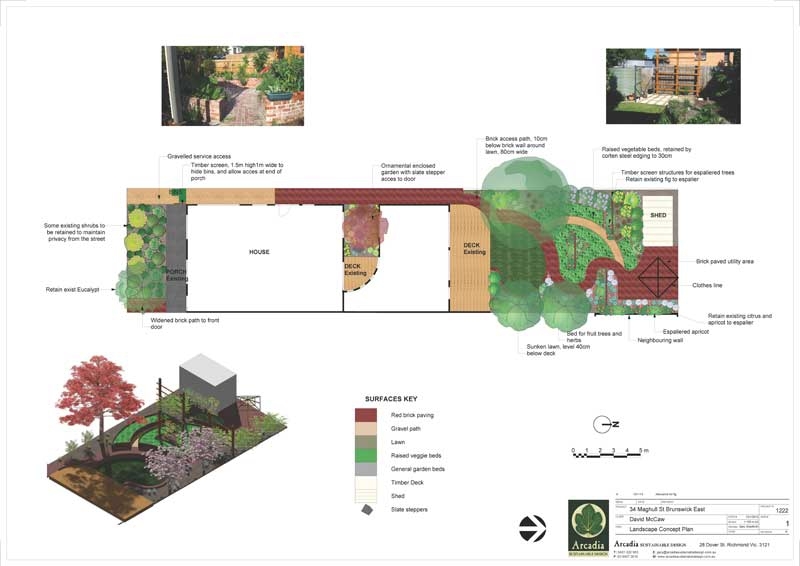 Timber frames for espaliered fruit trees were designed to create productive screens to the utility zone at the end of the garden.